Chopard necklace from the Happy Dreams Collection. 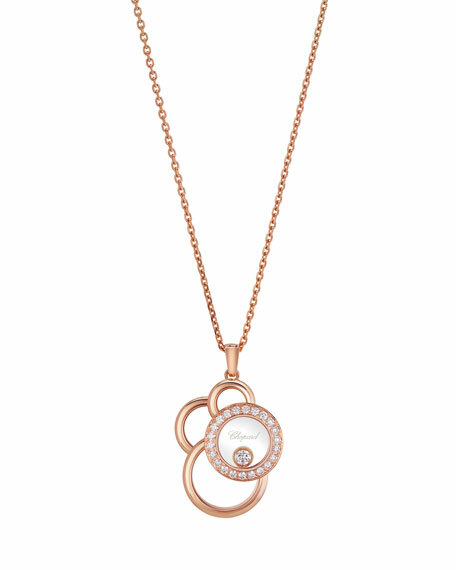 Multi-circle pendant with channel-set diamond border. Floating diamond bezel at center. 23 diamonds; 0.39 total carat weight.